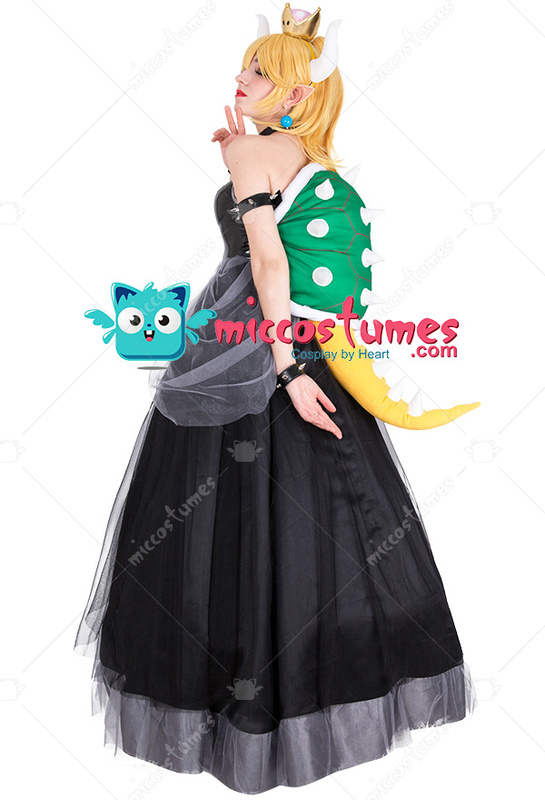 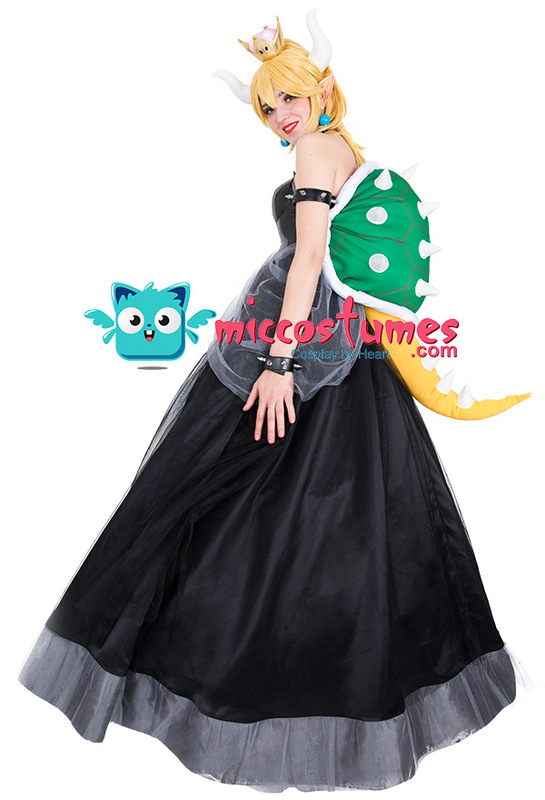 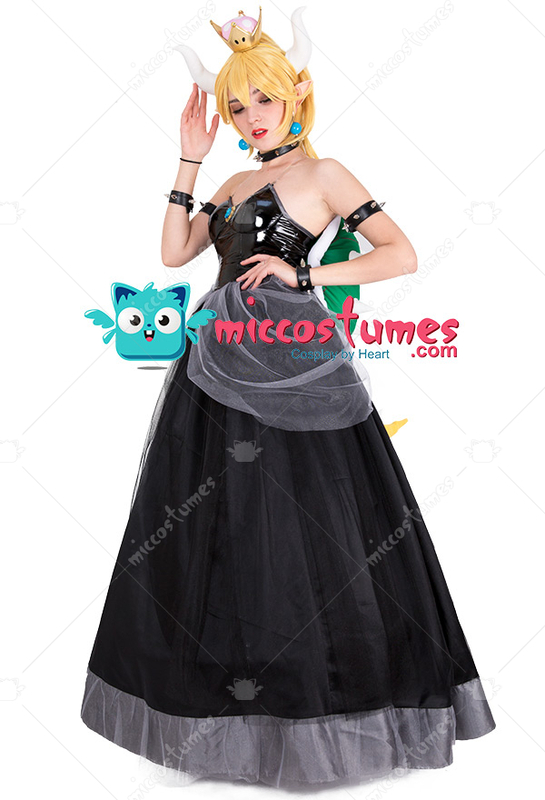 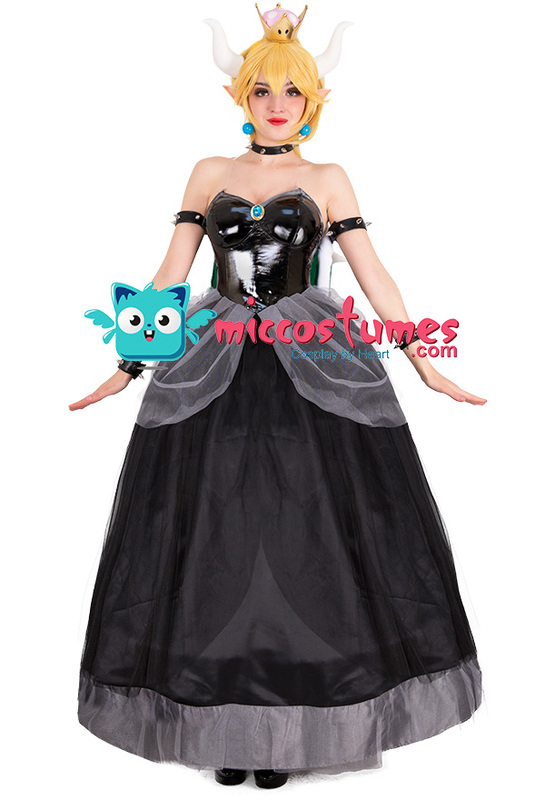 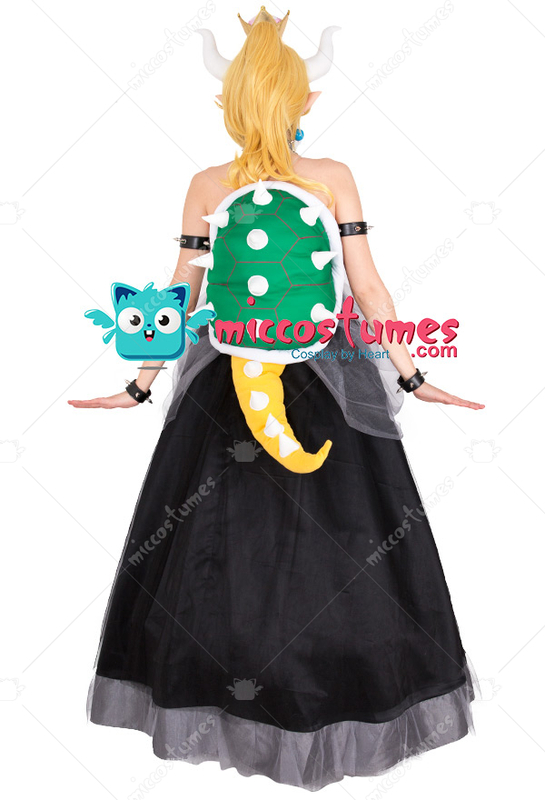 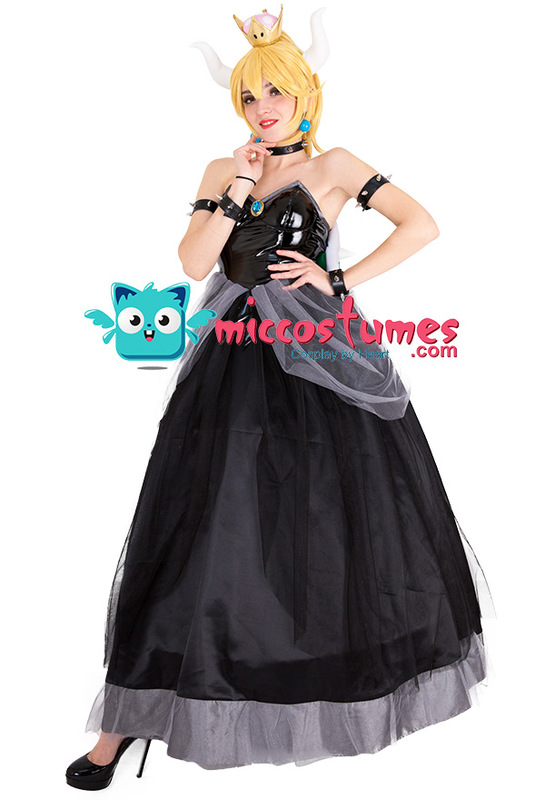 This costume includes dress, crown, headdress×2, necklace, arm ring×2, wristband×2, turtle shell decoration with tail, transparent shoulder strap×2, earring×2, crinoline. 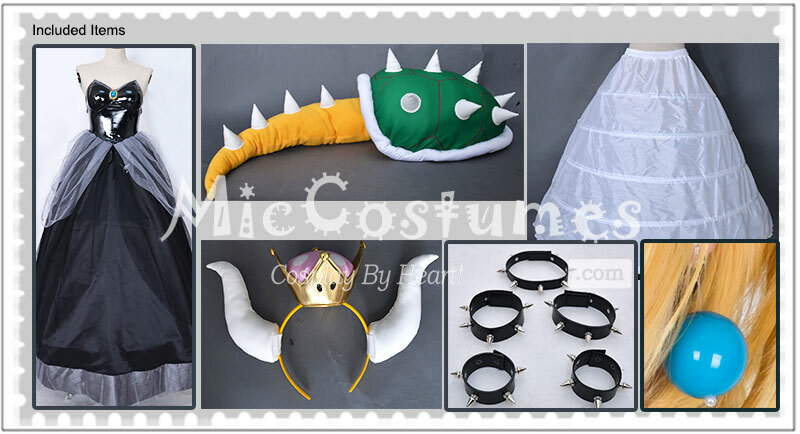 It is made of PU leather and gauze. 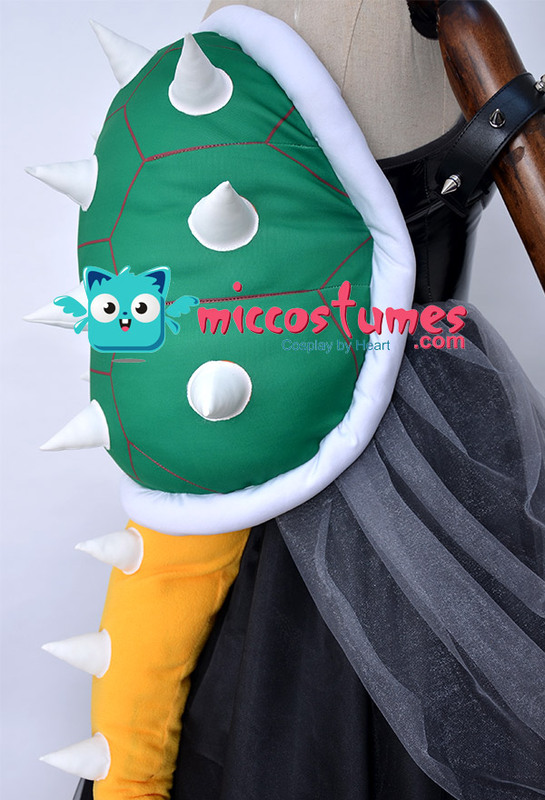 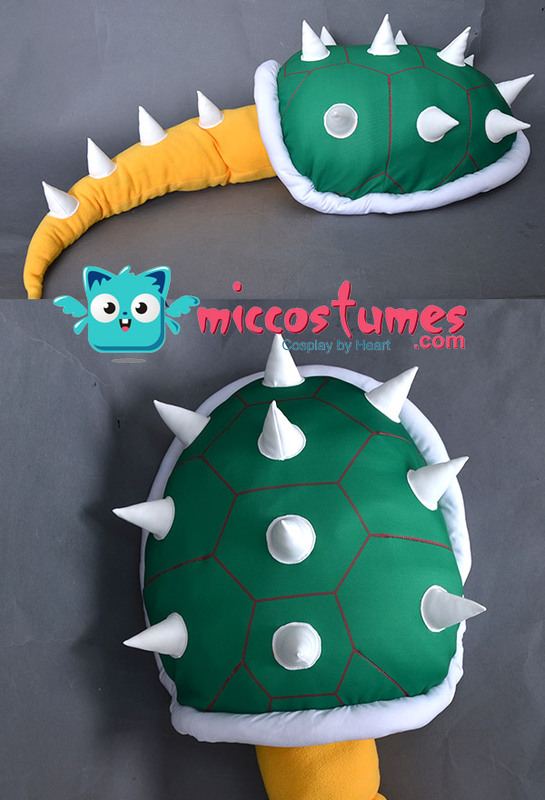 Please note: the turtle shell props need to be filled with fluffy items by yourself. It is recommended to use the items such as cotton or newspapers. 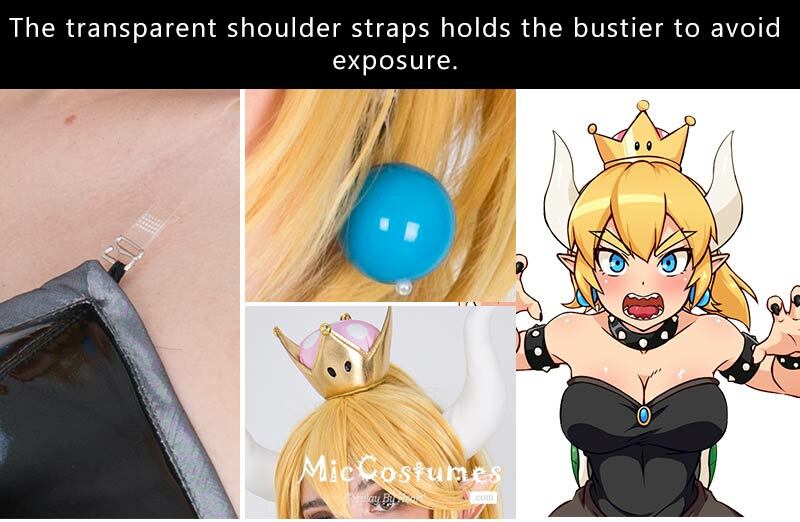 Please use the hair pin to fix the hairband so that it will not slide.